If ads on Twitter weren’t annoying enough, some will start asking for your credit card info, in the hopes you’ll load up on store discounts. 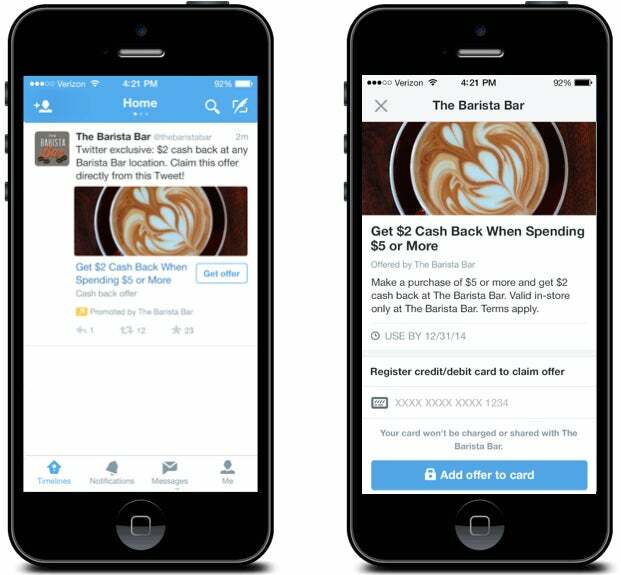 Twitter Offers, launched Tuesday, lets companies incorporate in-store promotions in ads that appear in users’ feeds. This is not a way to buy things on Twitter; it’s a tool to add a discount to your credit or debit card, which can be redeemed in physical stores. The data stands to give Twitter a huge leg up on gauging the effectiveness of its ads on in-store sales. Starting in the U.S. only, a handful of brands will include a “get offer” button in their ads on Twitter. It could be, say, $2.00 cash back when spending $5 or more at a particular coffee shop. Click the button, and Twitter will ask for the user’s credit or debit card information. The promotion is applied when the user makes the purchase with that card in the store, and the cash back savings appear on his or her statement within a few days, Twitter says. There is no charge to use the offer. 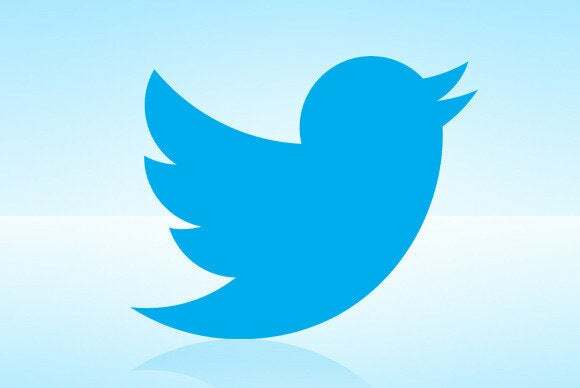 People’s stored payment information is encrypted on Twitter, the company says. Users can remove their payment information at any time from within their settings. It’s not the first offers tool to be offered by Twitter. The company has let American Express cardholders earn discounts by linking their credit card with their Twitter account and having them tweet specific hashtags. Twitter, along with Facebook, has said it’s working on a new service to let people make purchases directly from within tweets.